Love in the Dark is book one in the Millie and Adrian Trilogy. It is the story of NYPD surveillance expert, Detective Millie Angeles. Millie has made a name for herself working in the elite TARU unit of the New York Police Department as the go-to girl for surveillance and tracking. However, when tragedy occurs, she finds herself casting about for a new chapter. That all falls into place when she lands a job at a private company, which dispatches her to the West Coast to work for Adrian Zaragosa, a blind, and strikingly handsome owner of a winery estate in the Napa Valley. As the plot thickens and their passion sparks, Millie finds herself in the throes of both extreme danger and overpowering desire. 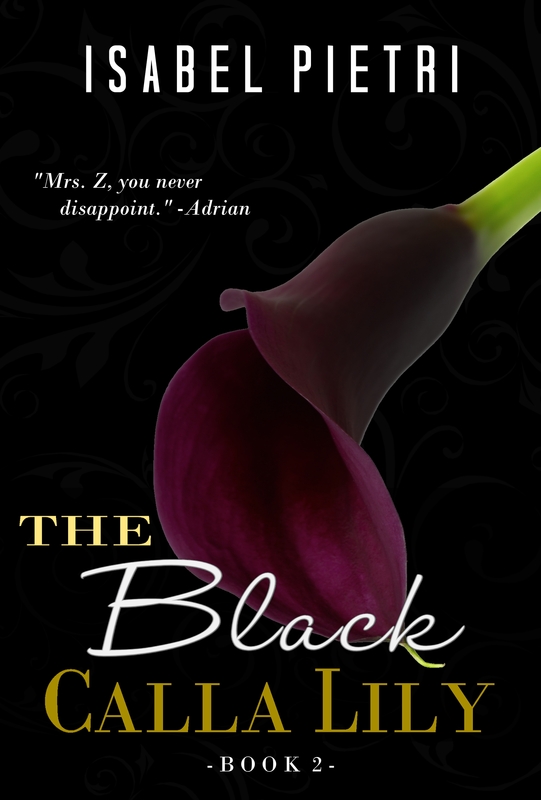 The Black Calla Lily is book #2 in the Millie and Adrian Trilogy. Millie and Adrian are the perfect couple living the perfect life. That is until Millie’s troubles follow her to Luna Llena. They threaten all that she loves, her husband and children. The story reaches a climatic ending as Millie dashes across the country back to New York City to face her nemesis for a final show down. Will Millie pay the ultimate price? Before becoming an author, Ms. Pietri was a Labor Union President representing workers in NYC and the Tri-state area. She was born and raised in lower Manhattan, NYC. Today, she resides in N. E. Pennsylvania with her husband, a retired forensic investigator, Sheba the wonder dog, and two kitties, Shadow and Missy. She loves music, dancing, watching movies, eating popcorn, drinking good wine, swimming, scuba diving, but most of all she loves to create through writing.